Note: This feature is only available in version 8.2 and above. As an example, when exporting fields for customers, a new Customer History folder is available. 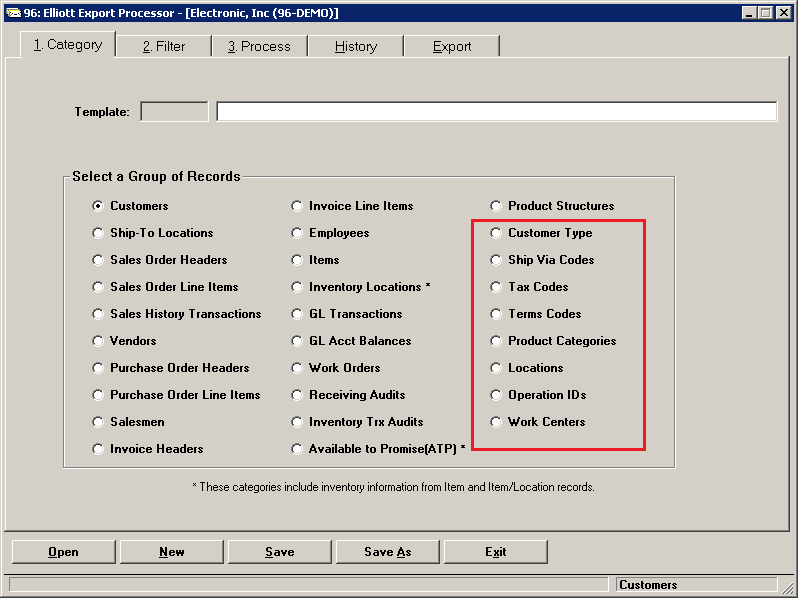 When this folder is expanded, there are three options: Sales, Cost and Invoices. 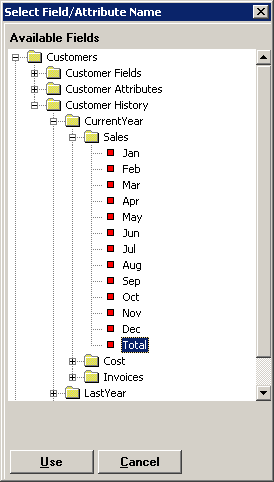 Expanding the Sales folder will show 12 months and a total field. 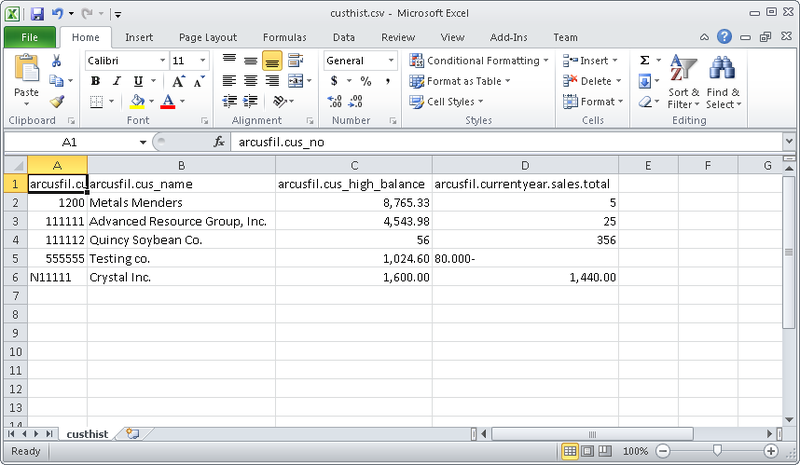 The new fields can be exported to CSV. 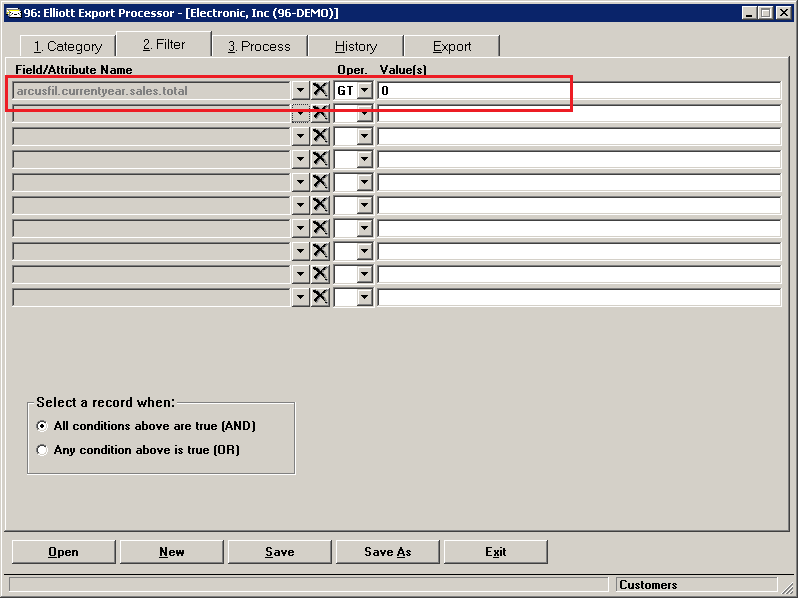 When choosing the Get Records button on the Process tab, this filter will be applied. 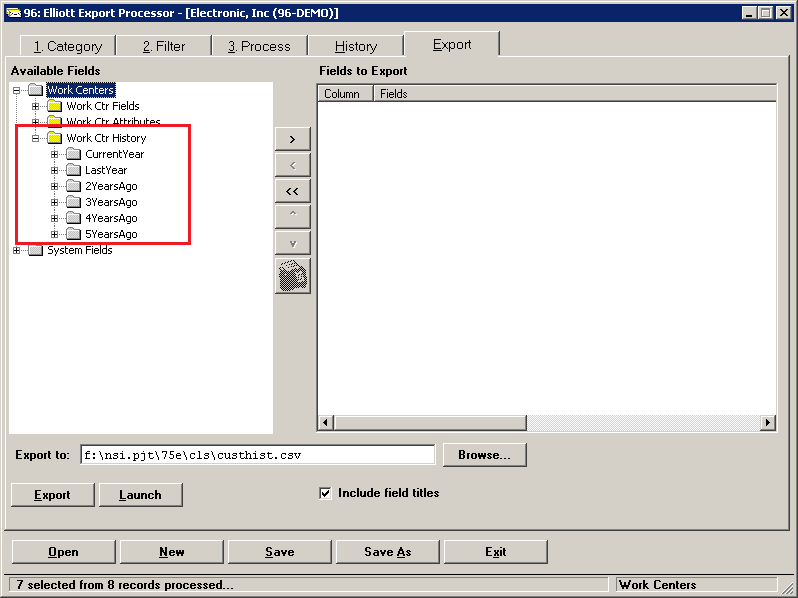 The results can then be exported to a CSV file. Categories have been added to support the exporting of 12 Months History data for these tables. 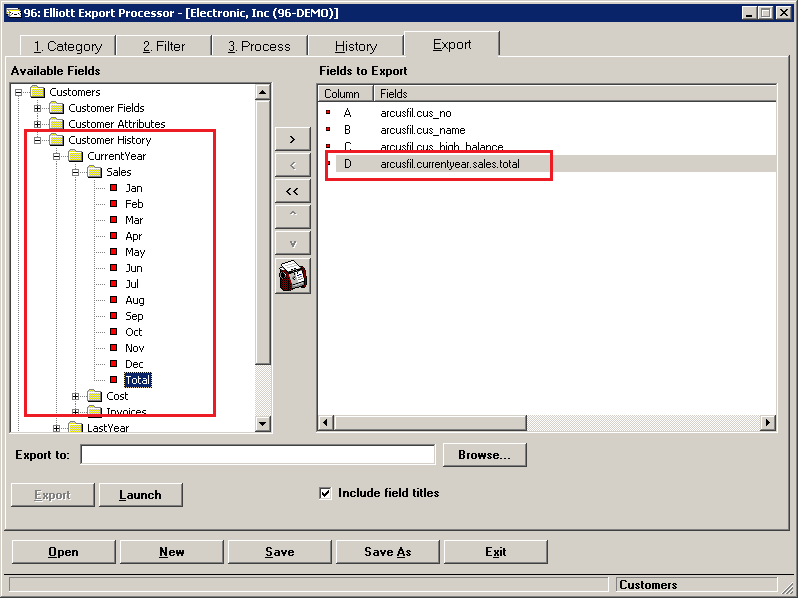 The new categories are only available in the Export Processor and are not available in the Mass Email application. The application will allow the user to choose fields from up to the last 6 years of data on file.